The story of a brand. The story of a passion. Some stories are lost to time, only to be rediscovered later. Some passions defy the ages, are rekindled and reborn. So begins our story. 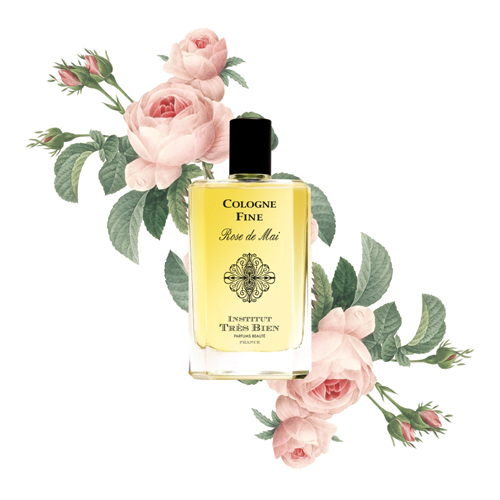 This is the story of a name, TRÈS BIEN, the name of a beauty salon in Lyon, France that my grandmother loved to visit in the 1930s, her personal correspondence describing at length the charm of many delightful afternoons spent there. This is the story of a priceless, turn-of-the-century perfumery handbook that had stood unnoticed in the family library for decades, and in its pages the 1906 formula for the Cologne à la Russe, a cherished fragrance that my grandmother had custom made at Très Bien. This is the story of a desire, a desire to reach beyond trends and time and revive the atmosphere of a bygone era. This is our story. The story of a brand. The story of a passion. 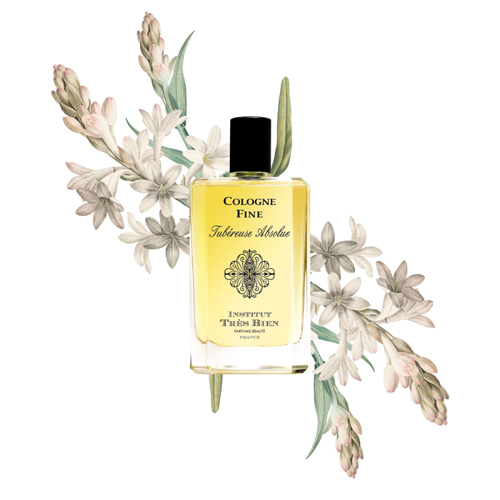 In keeping with this spirit, the creations of Institut Très Bien comprise a universe of luxury and refinement, reminiscent of that splendid period when perfume was worn only on exceptional occasions. Fragrant compositions imparting a singular olfactory emotion, sophisticated in their simplicity, their first-rate materials and handcrafted quality imbuing them with vibrant personality. The spirit of Institut Très Bien resides also in giving the same amount of time and attention to the fragrances as to their presentation, in a relentless effort to push back the limits of excellence. Born in Lyon, France in 1967, Frédéric Burtin has been a chemist-cosmetician for more than 20 years. 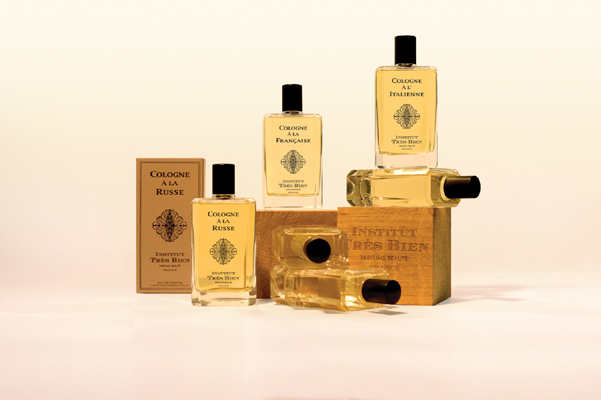 A passion for perfumes and beauty products drove Burtin, a biologist by training, to join Versailles’s prestigious school of perfumery, ISIPCA, where he learned the magic of creating fragrances and cosmetics. “Telling apart and putting together thousands of ingredients to create a product felt like magic. It was love at first sight.” Passionate about the world of luxury and beauty, Burtin soon acquired the savoir-faire of high perfumery, and worked for nearly fifteen years at the most prominent French brands, perfecting his art by working with the profession’s best specialists. In 1999 Burtin discovered a treasure trove in his own family history, a long-lost gift from the past, a push from destiny. It took four busy years to reconstruct the puzzle left by history, but now Institut Très Bien lives again. Nestled in the heart of Lyon Presqu’île, close to the renowned Place des Célestins, the Institut Très Bien design space was envisioned as a singular locale for multisensory and creative exchanges. Serving concurrently as an office, a laboratory, a workshop, and a place of joyful artistry, it gives imagination and inventiveness free rein.